It's cooking and shopping made fun with the Shop & Cook Interactive Play Set by VTech. 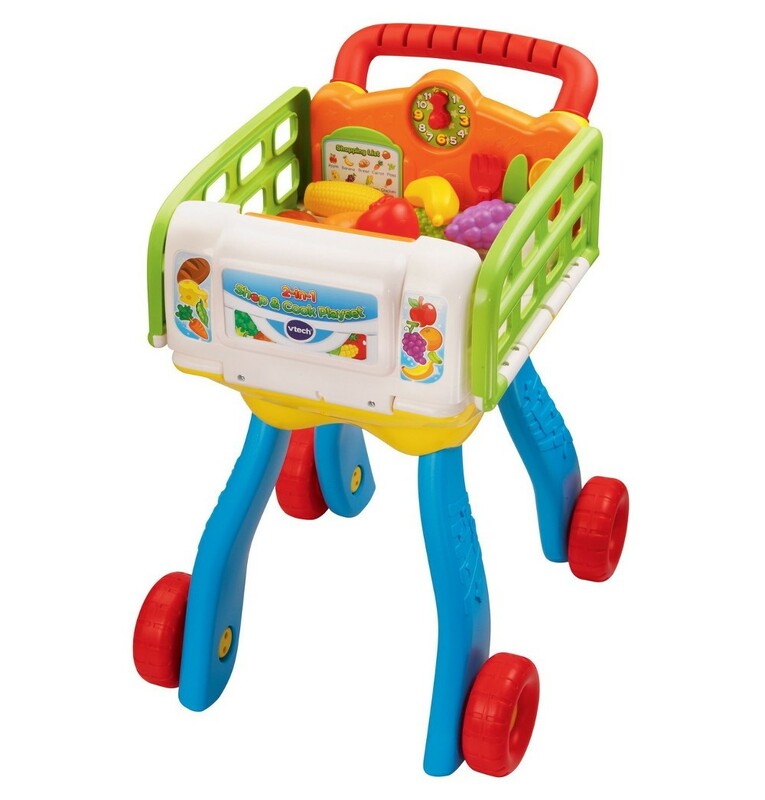 This 2-in-1 shopping trolley easily transforms into a kitchen and responds with fun phrases, sound effects and music for role-play fun. Your little chef and shopper will learn about food, colours, numbers and more! 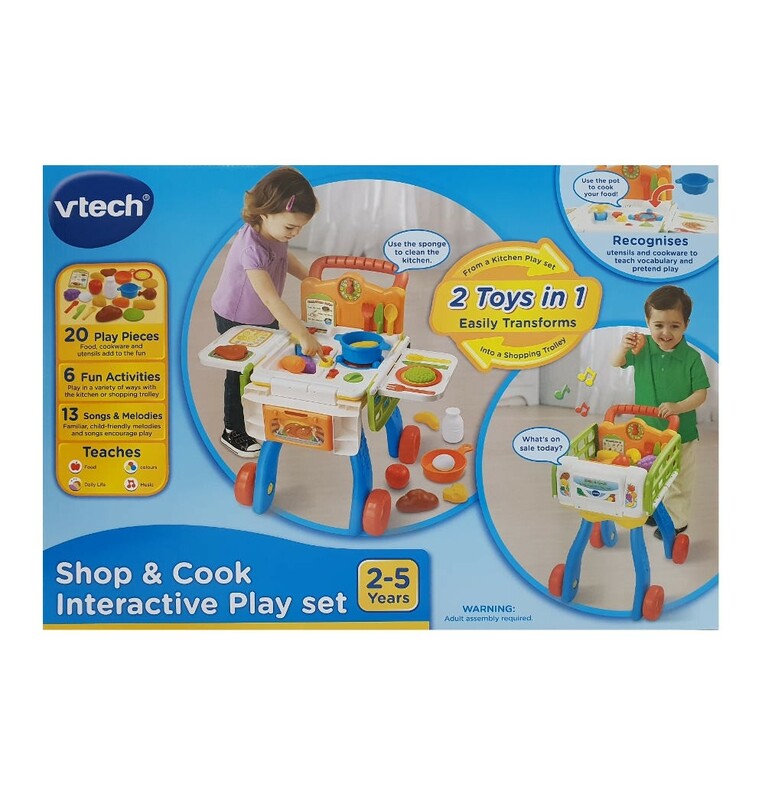 The 2-in-1 Shop & Cook Playset™ by VTech® turns your child into a chef extraordinaire with this versitile role-play toy that transforms from a shopping cart to a play kitchen! 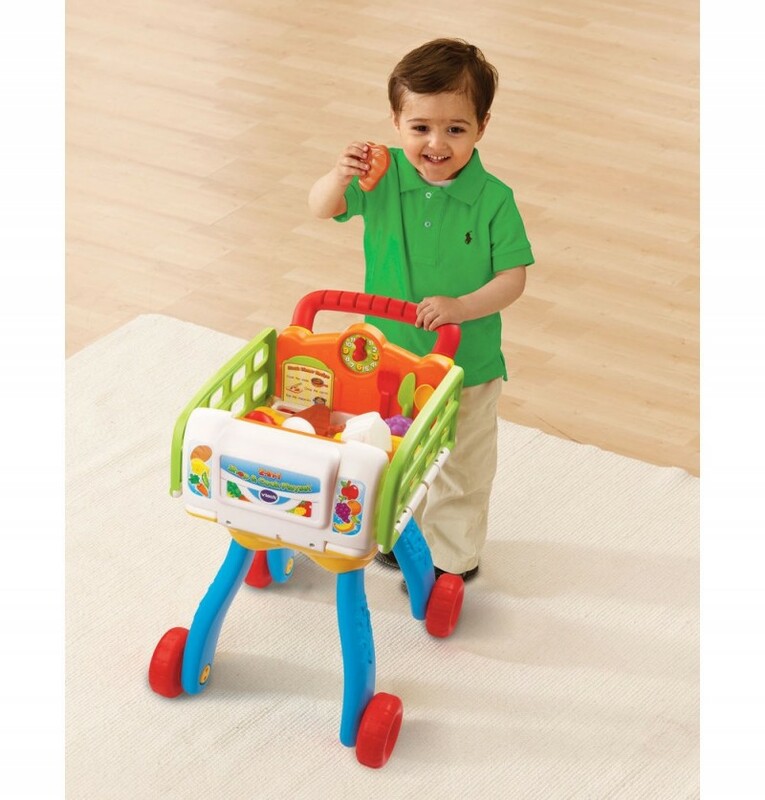 Your child will shop to 13 fun songs and melodies as they place food items into the cart, eliciting fun and imaginative responses that teach words, colors and objects while encouraging hand/eye coordination. Easily transform to a light-up stove to "cook" these items to fun kitchen sound effects. 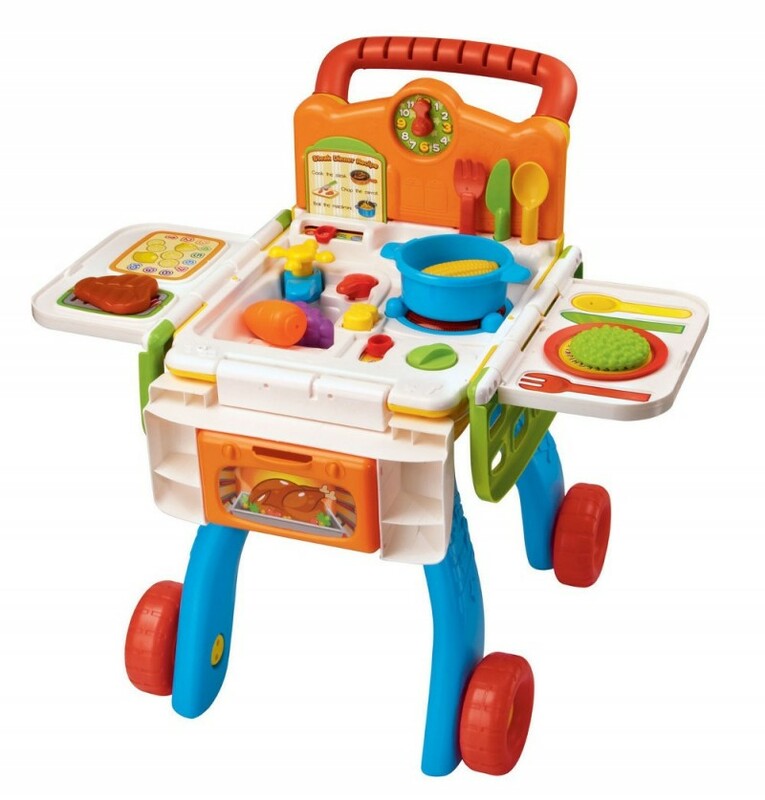 The educational playset includes 20 play pieces and recognizes the utensils and cookware teaching vocabulary and pretend play. Learn numbers and counting by turning the oven knob. With six educational activities, this role-play learning toy teaches food, daily life, colors and music. 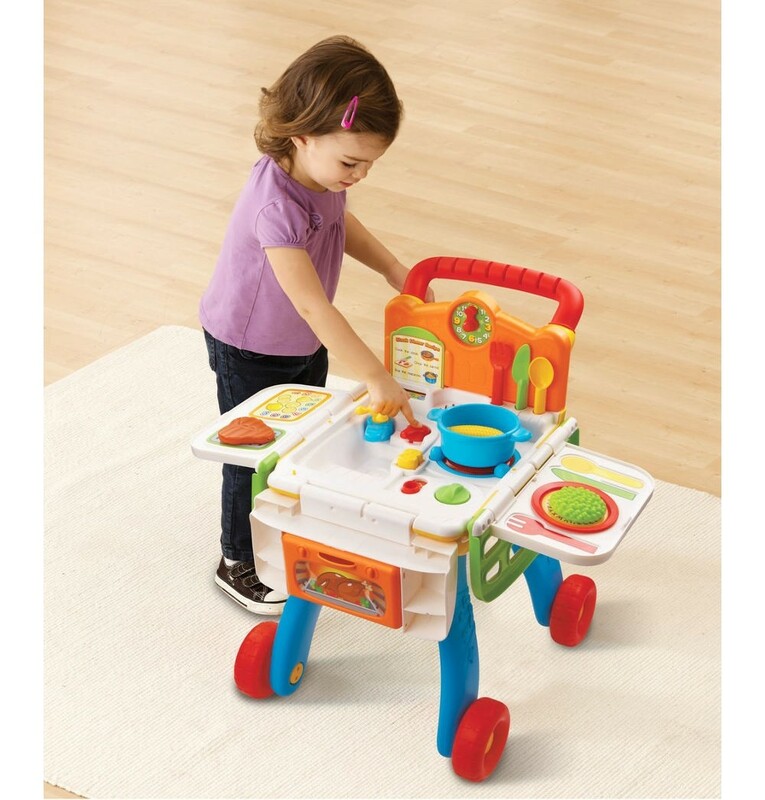 Shop 'til you drop and cook up learning fun!